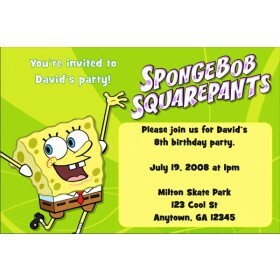 Spongebob Squarepants Invitations 3. 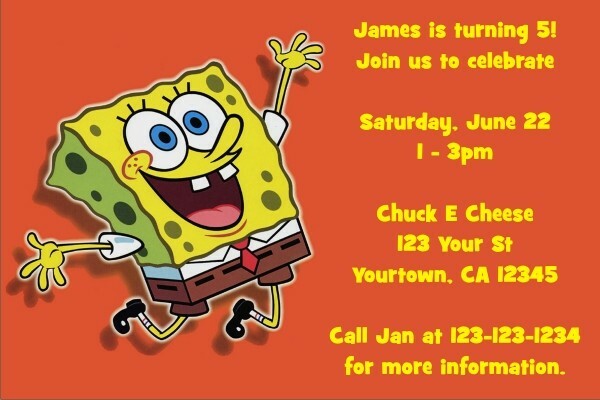 This invite features an excited Spongebob on top of an orange background. The yellow text color pops on top of the orange background. 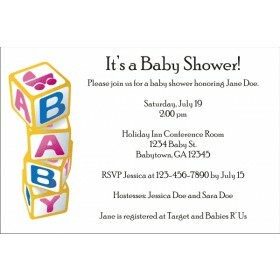 Personalize this template with your party information.